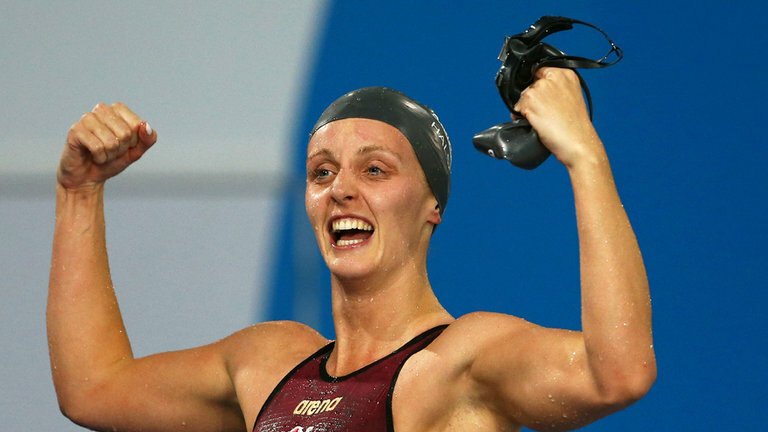 What can we learn from the England swimming team? It really is that simple. I was recently teaching a business strategy course, and one of the delegates observed that some of the content wasn’t exactly rocket science – he was quite right. Most of business strategy is fairly straightforward. Follow the necessary process steps and let the results take care of themselves. The difficulty usually comes in 'trusting' the process and implementing the steps consistently, without losing momentum or focus. Business, sport, life goals. It's the same kind of challenge. We all start out with best intentions, but not all of us end up winning medals. So you have to hand it to all the people who have been representing our country at the Commonwealth Games. Not because of the massively clever science that goes in to things like swim stroke technique - though that is pretty awesome - but because winning a medal means consistently following the agreed training steps. Day in, day out. Whether you feel like it or not. It isn't exciting. It isn't the bit the cameras generally focus on. But if our athletes aren’t committed to carrying out the plan, there is a queue of top talent right behind them waiting to take their place. So they know that if they aren’t putting the effort in at the gym and in the pool, they won’t be in the running for a podium place. And with an impressive 24 medals at the Commonwealth games this year, it’s an approach that is clearly working for this year's swim team. So what can business take away from this? Read up on all the clever strategy you like, just make sure you arrive at a clear plan that fits your market and your talent pool. Make it easy for your whole team to understand the overall plan, and their part in fulfilling it. Work step by step with your team to begin with - the biggest hurdle to purposeful action is often psychological. Get people started and momentum will build. After that, it's all synchronised swimming to the finish line. Are Millennial Muslims Changing the Definition of Halal? Thank you to Adam Sheth, Founder of Jewels of the Ummah for this month's guest blog on the subject of Halal. As supporters of ethical trade and business practices, the Groundswell Innovation team are extremely pleased to have worked with Adam on the development of this new brand. Halal is a historical Islamic term used by Muslims all across the world which means 'permissible' or 'allowed’. The opposite of Halal is 'Haram'. Impermissible. What is Halal and Haram derives from the Quran and Prophet Muhammed p.b.u.h. The word Halal is mostly recognised when referring to food, but nowadays the word is being used in every part of a Muslim's life. Take travel for instance, how can it be made Halal? The importance of Halal travel is where a Muslim has the necessary facilities to practice their faith with ease from Halal food, information for prayers, water in toilets, separate swimming pools, gyms and so on. The travel industry focusing on the Muslim consumer needs has valued the Muslim travel market to be worth an estimated US$220 billion, according to an October 2016 report by MasterCard and CrescentRating. The global ‘Halal’ market is now estimated at US$2.1 trillion, growing at a phenomenal US$500 billion annually. The global Muslim population account for 23% of the world’s population and are expected to grow by 35% to be 2.2 billion in 2030. The rise of the Millennial Muslims (nicknamed, Generation M) is driving this huge change. As a group they are digitally connected, not afraid of expressing themselves and proud of their Muslim identity. The growth of this consumer group has created vital talking points on everyday topics such as fashion, travel, health and beauty, in relation to the rulings of Islam. They look at Halal as not only a certification or an end product but the entire process to ensure products and services have been created in an ethical manner also known as tayyib meaning good, pure and wholesome. Millennial Muslims don't just care that the meat they are eating is Halal. But also that it comes from an animal that has been treated decently and lived a happy life. Halal goes much further than food. This has presented young British entrepreneur Adam Sheth, with a huge opportunity to create a new marketplace known as the Jewels of the Ummah. This contemporary online market space will bring together the most modern, ethical and creative Muslim-friendly lifestyle products that creative businesses have to offer to the young generation of Muslims around the world in a single place of online shopping. Brands that will feature on this e-commerce platform will help Muslim and Non-Muslim brands connect to this audience effectively. Many brands and independent businesses are considered Halal without having a Halal certificate or Tayyib but reaching this target audience is difficult. This platform will be a highly effective way for brands to connect to consumers seeking non-food Halal products. For example, brands like Purple Impression, an eco-conscious fashion brand that puts emphasis on earth-friendly materials, transparency of the production process and take social responsibility as part of the main business model, is just one example of what can be categories as being “Halal”. The definition and origin of Halal remain the same, but the meaning is being applied much more widely. Millennial Muslims, savvy entrepreneurs and brands are playing with the idea of relating this to modern day consumerism and exploring new opportunities to make the Muslim lifestyle more meaningful and fulfilling with a greater faith-consciousness. Halal, simply put, is a way of life. Meet the Futurists: The new Muslim consumer. Will we soon say “Lancaster University produces the most female board members in the UK”? Lancaster boasts some of the brightest women in the country. It is home to the UK’s no. 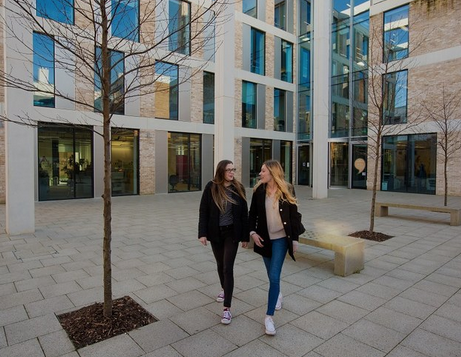 6 University, which has just been named University of the Year by The Times and The Sunday Times Good University Guide 2018. More than half of the University’s graduates are women. The challenge we face now is for the city and the region as a whole, to harness this talent to take us forward to a brighter future. That is why Lancaster University have chosen to become part of a strategic alliance with Northern Power Women. This is something that Northern Power Women Ambassador and brand expert Jane Dalton, head of Groundswell Innovation is clearly passionate about. This builds on the call from the government last year to increase the number of female board members to at least 33%. The UK has fallen to 9th place within 12 of the highest ranking European economies, with only 23% of the board represented by women. And with the recent and very public revelations about pay disparity in some organisations, Dalton is keen to see more equality in senior positions. Dalton is hoping that a combination her three professional passions - Ambassador for Northern Power Women, Entrepreneur in Residence at Lancaster University and Managing Director of product development agency Groundswell Innovation - will provide opportunities to share her expertise with the most recent graduates. Well some recent research by the Harvard Business Review found that 'collaboration occurs when responsibilities and roles are clearly defined'. Tamara J. Erikson is an Author for Harvard Business Review and Top 50 Global Business Thinker. Right away those titles make me feel I need to pay attention to what she has to say. Something that sounds like not such a big deal, actually makes sense in the context of behavioural psychology. The minute you publicly commit - sign on the dotted line - to take on a specific role, you do it properly. Or your peers will think badly of you. I recently became an Entrepreneur in Residence at Lancaster University. What does being an Entrepreneur in Residence actually mean? For me, Erikson’s research on collaboration really resonates in this context. I have taken on the responsibility to share learnings from my career with the next generation of business leaders. In doing so, I feel that I learn as much from the students as they do from me. I love the cross-pollination of ideas. But then I would, being in the business of innovation. Having worked with the Marketing team to define exactly what Lancaster University stands for, that was a conscious choice. Lancaster is a plate glass university. One created to open the ‘ivory towers’ of learning to anyone who is prepared to work hard. Being at Lancaster is about where you are going, not what you have come from. Lancaster focused on science and learning disciplines that were new to world when the University was created. It is still doing that now. In the 1960s they built strong marketing and psychology departments. Now they are also strong in space travel and teaching entrepreneurship as part of management. Forward facing, encouraging learning in new territories. That’s something I am very happy to be part of. My new title also reminds me a little of one of my first job titles, that of museum Curator ‘to take care’. I hope that in my role of Entrepreneur in Residence I will provide a positive role model for the students, as they step out into a world of opportunity. The following piece was written after attending Northern Power Women Live on 7th July 2017. Don't go to an event unless you know exactly what you will get out of it. Don't go if the subject doesn't directly relate to an immediate business need. You'll waste time. You'll be distracted from your target of maximum productivity. So don't even consider it. What could you possibly learn from random conversations and off-topic debate? How slim are the odds that you would actually hear something useful? Even slimmer that some piece of information might actually be applicable to your business today. Don't attend. Put blinkers on. They you will reach your goal faster. But what if you want to reach your goal 'better'? What then? Might it not be useful to hear what other people do, outside our bubble of choice? Is there a chance it might spark an idea in our minds that we wouldn't have thought of on our own? Could that mean coming back to work feeling suddenly buoyed that last week's conundrum is now next week's walk in the park? Don't take the risk. No-one wants to get shot down for presenting a stupid new idea. But what if it worked? Especially if the competition had never tried it. How will we ever know, if we don't go? I started today up to my eyes in 'to do' lists, keen to attend Northern Power Women Live but feeling absolutely certain that I just didn't have the time. Even though I am in the business of innovation and constantly on the look out for new ideas, still the pressure is constant to focus on project delivery. It feels more sensible to stay nose to the grindstone, even when lacking inspiration, than to look up and smell the roses once in a while. Well today I embraced the risk that listening to people speak about things outside my world would be worthwhile. Like the many other people in AQL's stunning catwalk venue in Leeds, I came away feeling energised and inspired. The inaugural NPWLive was a series of glimpses into the lives and development journeys of others, told in captivating terms by people with real drive and passion for what they do. I would tell you about each one of them in detail, but the NPW Podcast will do a much better job of that. As will the video footage. And besides. You had to be there. How much of the world we hear is up to us. How much we engage in other people's thinking is our decision. I'm very glad that today, I listened in. There is no doubt we have a pretty good crop of inventors in the UK. Unfortunately, we don’t have quite the same hit rate when it comes to bringing those ideas to market with maximum commercial success. We do know that many companies consistently get it right. Take Unilever for example. They not only innovate new products, but they have innovation ingrained in their systems and processes. This leads to some pretty impressive results. In just one example, innovation around product prototyping techniques resulted in year 1 sales for a new cleaning product being 60% higher than first estimated. This shows that profitable innovation is just as likely to come from 'how' you do business as 'what you sell'. The best innovation often comes from a different way of looking at what you’ve always done. And you don't have to be the size of Unilever to do that. Check 1. You and your team have a long list of ideas for fabulous new products and services, but agreeing which ones to take to market is a risky business, so they haven’t quite got off the ground yet. Did you quantify how much value is still sitting on that flip chart? Check 2. You’ve got great product development processes that are regularly updated to take into account supply chain and customer feedback - you just wish they weren’t so cumbersome. What if the competition managed to cut their time to market? Check 3. You operate in a tightly regulated industry, such as financial services, and it can be difficult to differentiate your offerings from the competition. Such situations often go only one-way, a price war – is that a space that you want to be in? Spoiler alert - your brand heritage is a great way to avoid that particular doom spiral. Check 4. You are lucky to have a base of very loyal customers that like your traditional products, but your business needs to grow, and things may have to change. Have you worked out how to keep everyone happy yet – especially the bottom line? Check 5. 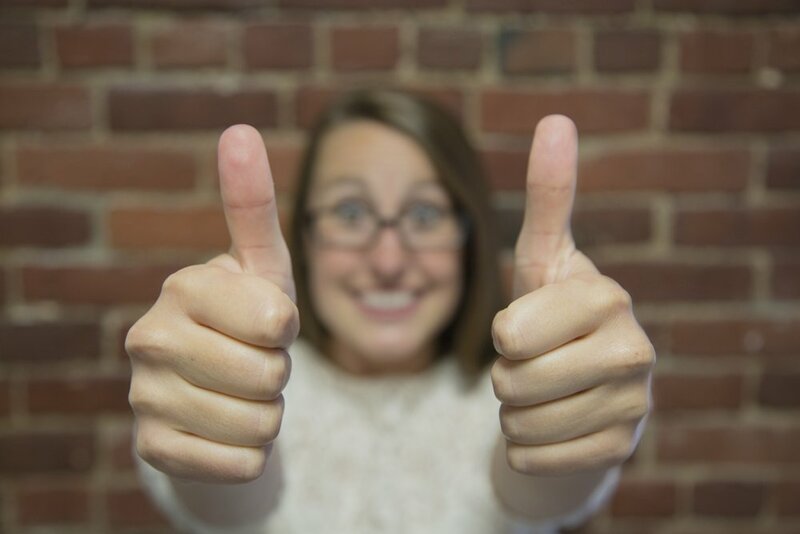 You’ve successfully launched your brilliant new product, your customers love it. Have you spent time on any poor performing products lately to see how they could be turned around? When we have worked with clients in the past, they have generally recognised themselves in at least one of the above scenarios. At Groundswell Innovation, we have decades of experience of seeking out the less-obvious, and we know the best hiding spots to find the secrets of your continued success. You may not be surprised to hear that we work a little differently to many other consultancies. We like to deliver value from the word go. So instead of generating lengthy proposals for you to wade through, we’ll go right ahead with a workshop with key members of the team to identify the opportunities and co-create the best solution. One of the things our customers value about us most is our pragmatic approach; and delivering co-designed solutions that actually work for their business - right now. If you would like see if a co-creation workshop could help you do things differently and grow your business, please talk to us. If you would like a free download of our white paper ‘Innovation in the UK – all the gear and no idea? please click here. You can also read about the successes of some of our lovely clients here. Full order books keep many companies away from marketing. In 2017 we need to get our message across more clearly. We can all be effective advocates for the innovation and growth potential that exists in our region. This year, let’s get more Northern Powerhouse companies singing loud enough to be heard on a national and international stage. This month, we welcome Raghuveer Ramkumar as our esteemed guest blogger. Currently an MBA student at Lancaster University Management School, Raghuveer spent 6 years prior to this putting in place the systems, teams and processes necessary for large-scale incubation of innovation via in-company social networks. As complicated to do, as it is to say. Business enabled by social networks is a theme of particular interest to Groundswell Innovation, and one that we have been working on of late with clients wishing to maximise internal brand advocacy and problem-solving capacity. Andrew Grill, Principal, IBM Interactive. Research undertaken by IBM, as quoted in ‘Making change work’, has proved a correlation between innovation and social participation. To quote a success story: when cement maker Cemex wanted to create its first global brand of concrete, the company didn’t build a new lab. Instead it built a community where employees from 50 countries collaborated to launch the first global brand within one third of the anticipated time. Read the full story here. To quote another example, the Lagos State Government in Nigeria adopted Social Technology to create a global platform for sharing Ebola-related open data and to strengthen their preparedness for future disease outbreaks. Read more about it here. Brainstorming ideas and thoughts across borders. These attributes free up ideas and remove barriers to access. When ideas clash, coalesce and evolve, innovation is accelerated, society progresses and individuals have the opportunity to become the best versions of themselves. But to benefit from this kind of innovation, your company and its people must first be social beings. If your teams take no part in network discussions, or if your management team can see only distraction in social media, the chances are that this kind of innovation will remain blocked to you and change may be all the more difficult because of it. About the author: Raghuveer Ramkumar worked as a Strategy Consultant specializing in Organizational Change Management with IBM India for 6 years. He is currently studying for an MBA at Lancaster University Management School, UK. Innovation in the UK: All the gear and no idea? Innovation is hard work. It’s the road less travelled. The riskier, effortful option. For a nation with a high proportion of SME businesses all navigating ever choppier operating conditions, I think this presents us with a problem. We are asking people to leap in to the unknown at a time when their instinct will be to hunker down and weather the storm with their existing business model. Spawning enthusiasm strong enough to get people adopting the innovation habit won’t be an overnight sensation, unless we can somehow hook it up to Pokemon Go. But at next year’s innovation conferences, it would be great to see row upon row of innovation beneficiaries. People with more interesting jobs or a better quality of life. People working on new ideas across the supply chain with collaborators, not working in a shed to create one more new widget. A visual demonstration of the multiplier effect brought by the ideas and inventions developing this year. That would show the real, human value of innovation. Managing multi-channel innovation in an era of disruptive thinking. Manage the gap between 'what technology can do' and 'what people are willing to use it for' - particularly in areas like money. At one end of the spectrum people are being paid in bitcoin, at the other, people are desperately holding on to their chequebooks. Bridging the ‘No Man’s Land’ between bleeding edge technology and the customer comfort zone is critical, if customer trust is to be regained in the financial sector. How do you tackle employee retention, customer engagement, industry-wide threats of disruptive innovation and regulatory pressure all in one go - in a highly competitive risk averse industry with 190 years of company success to safeguard? Read on to see how Standard Life are embracing innovation. This month, we welcome World Merit General Manager Marlou Hermsen as guest blog contributor. World Merit incentivise people to change society for the better. The more you do for the public good, the more opportunities open up for you at a personal and professional level. Over recent years gamification techniques and reward mechanisms have been used extensively to promote goods and services. World Merit have applied these self-same principles, along with a large helping of creative zeal, to develop a very different approach to cracking some very big societal problems. Be inspired, get involved, and above all, open your eyes to the potential of new ideas. What increases innovation capability and general performance in organisations? There are close connections between having a learning culture, a concern with creativity and innovation capability and the performance of the organisation. This is strongly suggesting that efforts to promote and develop a learning (and unlearning) culture and develop innovation capability will enhance the performance of the organisation. #NPW Awards celebrated the efforts of people from start-ups and school kids to CEOs, across every possible age group. The focus was ‘our’ agenda, not ‘my’ agenda. The inherent ‘survival of the fittest’ mentality that has us scrabbling over each other to get to the top was put aside for a while. ‘We’ can. Not I can. Men celebrated as well as women, for championing a common cause. Because a rising tide lifts all boats. Most businesses will say that they wish to be innovative, and that they wish their people would be more creative. Easy to say, much harder to do. So much gets in the way. Meetings, action points, past experience and prejudice, workloads that exceed time available, poor setting of priorities ...inept leadership. Is that the right collective noun? It’s January. It’s freezing. We have no money left after Christmas. So of course, we are being handed vouchers and offers, left right and centre. My phone, inbox and wallet are all abundant with ways for me to save money. As long as I am prepared to spend. I have seen so many this week that I must sadly admit to having lost track of their respective cut-off dates and conditions. Useless failure of a consumer that I am. Which ones are meant to be keeping me loyal, and which are meant to be pulling me in to try something new? I forget. My phone provider is offering me a free pack of posh crisps from Budgens. I don’t have a local Budgens. According to their app, the nearest one is 55.0 miles away. Or I could enter a draw and win two rugby tickets for Twickenham. I don’t follow rugby. Or I could get a Superman book from WHS. At least that’s only 0.3 miles away – oh wait, that was for yesterday. But next on the list is an upgrade for Evernote, to enjoy their Premium service. Great! A service I actually use. On I click. Except 4 days later with the offer showing as ‘used’ I still can’t get in to the Premium features. I don’t really have the time to chase that one down. Anyone short of a Serengeti hunter would have given up and gone home long ago. There are currently two high-street banks and three other non-financial service providers who offer me ‘a range of partner offers’ on an on-going basis. Sometimes I remember to sift through them, sometimes I forget. All of them are household names with long-established reputations and operating systems. And yet on several occasions when I have tried to redeem one of their vouchers, the good people at the till have no knowledge of it. How does this make me feel about the brand who are facilitating the partner offers? Like they should stick to their day job. Big data and technological advance are wonderful tools to have at our disposal as business owners. But without a depth of customer understanding sitting alongside them, even the most up-to-date data manipulation can create frustration out of something meant to build appeal. So whose vouchers do I use on a regular basis? No surprise, the ones from brands I feel affiliated to already. The ones who send vouchers I can redeem automatically or easily. Booths, John Lewis and Waterstones all make me feel rewarded. It means I buy less from Amazon, Tesco and Debenhams. Despite holding loyalty offers from all of them. Sometimes, I use a brand’s vouchers just because they offer me something really valuable. Van Cleef & Arpels isn’t on this list, but Caffe Nero is. With my 2-colour printed, paper loyalty card I get my 10th coffee “absolutely free” on a regular basis, despite having a wide array of decent coffee shops to choose from. So at the weekend I can enjoy an hour of complete immersion in the day’s news from the papers on the communal rack; or check my emails with their free wifi service as I drink my ‘soup bowl’ of cappuccino with or without the pastry that wasn’t on my list of New Year’s Resolutions. That’s an offer I can’t refuse. - Everyone likes something for free, but everyone is offering something for free – so why should people take up ‘your’ offer? Keep it simple, make it relevant. - It’s not just about the coup of landing a high-profile partner offer, it’s about how you apply that deal so end customers actually get real value out of it. - People won’t continue to buy from you after that initial discounted purchase, if they don’t like the rest of what they experience – so don’t waste your time, until the rest of the pieces are in place. To find out more about how we apply customer understanding to fuel innovation, come and see us at ProlificNorthLive on 2nd February. Stand 52.